Excessive stomach acid can be combated by supplementing the horse’s diet with a natural buffer. Equine74 is a safe and 100% natural marine nutraceutical supplement for horses. Derived from calcareous marine algae (Lithothamnion), Equine74 contains 74 naturally occurring minerals and is a rich source of calcium and magnesium. 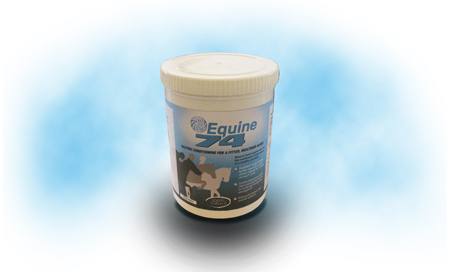 With added dried brewers’ yeast and live yeast, both of which are known to assist the digestive system, Equine74 is ideal for horses prone to EGUS. Equine74 helps to protect the gastric mucosa from the effects of continued exposure to stomach acids by raising the stomach’s pH. Trials show that it significantly reduces the incidence of inflammation and ulceration. The unique natural honeycomb structure of Equine74 provides a surface area in excess of 10m2 per gram. This porous structure allows the digestive system to break Equine74 down slowly, releasing valuable bio-available minerals over an extended period of time for maximum uptake.